Helping your child develop good and effective study habits is one of the greatest things that you can impart to him or her as a parent. This will allow them to be able to perform better in school and ultimately, be successful in life. It’s of extreme importance that you teach your kids these study habits while they’re still young. Foundation is the key, and these are essential skills that they need to have as soon as possible. It can be challenging at first, but once they’ve adapted to these study habits, there should be nothing that they can’t overcome. 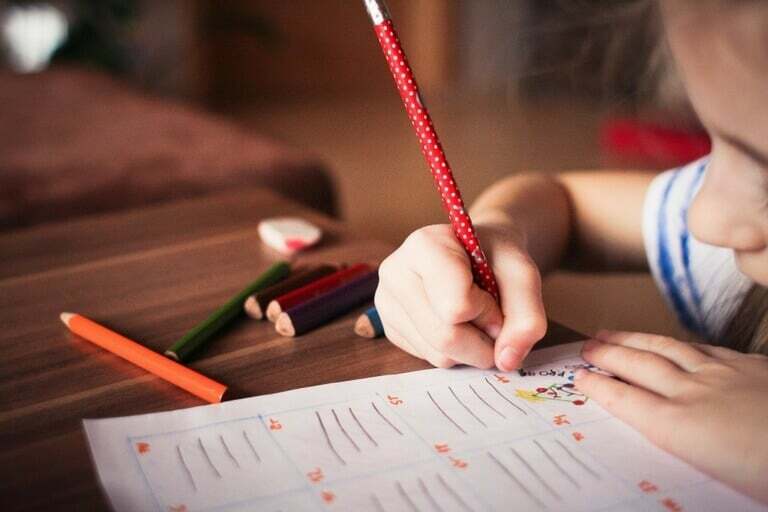 So without further adieu, here are seven effective study habits to teach your little learners. Homework, tests, extra-curricular activities — these are just some of the things that your child needs to juggle in school. Things can get pretty overwhelming especially for young ones, and even adults can fail at organizing their stuff!. However, teaching your kids proper organization and preparation for school can help them come out on top. Staying organized isn’t a skill people are born with. You, the parent, can and must teach your kids this effective study habit. Here’s how you can do it. Bring order to your child’s room – You can start by helping your kids know which is which. Separate ongoing projects from those already finished. You can then encourage him or her to put them into labeled bins, folders, or cabinets to avoid confusion. Create a checklist – Teach your kids how to use a planner at a very young age. Doing so will help them stay on track by listing down assignments, projects, and other activities that they need to do. You can also give your child a pad of sticky notes that he or she can post on mirrors or walls. Have extra supplies on-hand – Kids will lose things over time. It’s inevitable. So have a supply cabinet with essentials like pencils, binders, rulers, etc. Put a checklist on the cabinet, and instruct your child to mark it whenever he or she takes an item. Buy school gear that promotes organization – A perfect example is a backpack with multiple compartments. Help your child categorize his school materials and put them in their appropriate places. To make it more fun, play a game with your kid to check how well he remembers where he put what. Time management, along with organization skills will help your child develop good study habits. A study plan or program can help them prepare for an exam without the need for cramming (which is a bad study habit). Logically, the key to a study schedule that works is sticking to it. Otherwise, it’s pointless. The tips below will help you do just that. Place the calendar or printed schedule in a visible location. Use a pencil when writing on a physical calendar so you can make changes if necessary. Create a realistic schedule that’s flexible enough should something conflict with it. The schedules should be in a way that study times are consistent. Don’t forget about well-balanced meals for study time. Schedule the study time in a location that has minimal or no distractions at all (more on this later). One course or subject at a time for no more than two hours is ideal. Color-coded schedules are often easier to see and follow. Create a work environment that’s conducive to learning. Pretty much, any area in your house will do as long as the spot stays well-lit, quiet, and free from distractions. Turn off the TV when it’s time for homework or review. Limit the use of cell phones or social media until your child has done his homework. Studying in front of a computer is not a bad idea since your child can also learn from educational websites for kids. But temporarily block other sites. Minimize traffic in the areas as it can also distract your kid. Studying with a group has a lot of benefits, and it has been proven to work. For starters, group study will help your child recall the class material better. Second, it will also enhance their social skills and gain new friends. Lastly, working with fellow learners will help your child finish any homework or project a lot quicker. On the other hand, you want to make sure your child is hanging out with classmates who are devoted to their studies. Otherwise, the study session can turn into play. Oh! As much as possible, keep the pack small to ensure a better study environment and reduce distractions. Let your kid have a say in what works best for him or her. Ask for their inputs and collaborate with them to arrive at a method which is favorable to the both of you. If they say that one routine is not helping them at all, consider changing or improving it. At the same time, don’t ask them to jump straight away to studying right after school. Ask your child if they need some time to cool off first. Prepare a healthy snack perhaps, or let them play outside for a bit. But if they want to dive into homework immediately, then all the better as long as it’s what they want. Just remember: always ask for their opinion. They matter. Your child should develop active listening skills in class by focusing on what the teacher is saying. At the same time, tell your child to ask questions if he or she needs something to be clarified. If you think you need to step in to talk to the teacher (provided that your child tells you to), don’t hesitate to do so. Another thing that your child needs to learn early on is the importance of taking down notes. Help him understand that no matter how sharp their listening skills are, they will always forget something. Better be prepared than sorry! Tell your kid to pay attention to the main points being discussed and highlight essential topics which are likely to be included in their exam. A good rewards system helps immensely in reinforcing good behavior – not just study habits. In fact, this applies to our everyday lives regardless of age, and having something to look forward to at the end of the all the hard work is always encouraging. For instance, you can set monthly targets with corresponding rewards to help motivate your child. Simple rewards like a new toy, a trip to the zoo, or a vacation will do. BUT whichever you pick, make sure you reward them for their effort NOT for their final grade. But always remember that, as your child grows, their routines will change. As such, staying flexible – keeping what works and removing what doesn’t – is essential. Encouraging good study habits in your child isn’t easy-peasy. But it’s a labor of love that will pay off and reward you and your child many times over.